Monthly Social Security and Supplemental Security Income (SSI) benefits will increase 0.3 percent in 2017. The 0.3 percent cost-of-living adjustment (COLA) will begin with benefits payable to more than 60 million Social Security beneficiaries in January 2017. Increased payments to more than 8 million SSI beneficiaries began on December 30, 2016. The Social Security Act (“Act”) ties the annual COLA to the increase in the Consumer Price Index as determined by the Department of Labor’s Bureau of Labor Statistics. The Act provides for how the COLA is calculated. In the new year, the standard Medicare Part B premium amount will be $134 (or higher depending on your income). 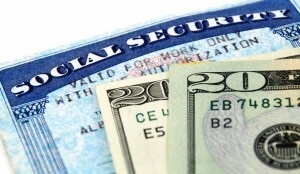 However, most people who get Social Security benefits will pay less than this amount. This is because the Part B premium increased more than the cost-of-living increase for 2017 benefits. If you pay your Part B premium from your monthly Social Security payment, your monthly premium can go no higher than the increase you receive to your monthly benefit. Social Security will tell you the exact amount you will pay for Part B in 2017. Most beneficiaries will not see a reduction in their 2016 monthly benefit amount because of the increase in the Medicare Part B premium. This is because the Act contains a “hold harmless” provision that protects most beneficiaries. The amount of the benefit payable between 2016 and 2017 will stay the same even though the Medicare Part B premium increases. To learn more about Medicare Part B costs go to https://www.medicare.gov/your-medicare-costs/part-b-costs/part-b-costs.html at the Medicare webpage. Due to the threat of storms and power outages, the Bothell Chamber of Commerce cancelled Chilifest.